the #1 Prayer Book on Amazon! The 365 Days of Angel Prayers Book is a gathering of daily angel invocations, blessings, prayers and essays written by people who work with the angels to manifest joy, healing, deep peace and love. So, if you love and want to work with the angels on a daily basis in a profoundly loving way, you’ve come to the right place! This book contains prayers by wonderful angel messengers and practitioners from around the world. Each season of the year is sponsored by a well-known angel author or medium. Michelle Mullady was asked to contribute a beautiful angel prayer for each of the twelve months of the year. Announcing . . . Michelle Mullady's Award-Winning Book! Michelle has expertly crafted this warm and easy to understand book in order to gently guide you through the simple process of breaking through old mistaken beliefs and learning to love yourself just as you are. The words and photos will nurture seeds of self-love that will grow like vines, reaching out and blessing your life and everyone in it. It is recommended that you give one to yourself and as a gift to your friends and family. This book is dedicated to women the world over who are looking for ways to improve the quality of their lives, their communities and the environment. You are part of a growing population of gifted individuals who have chosen to walk the face of this planet at a very important point in time. Purchase Michelle's book for yourself and a loved one today. Come embrace the surprising connections between you and the universe. This event is for everyone – whether you are a complete beginner, had some experience before or are interested in exploring beyond your mind, emotions, and physical body with pure energy meditation and healing breathwork. Join us in this meditation sacred circle to learn more about new ideas and techniques that will support you on your path of transformation and evolution followed by gentle discussion. BY POPULAR DEMAND! It's time for another Girls' Night Out with yoga teacher extraordinaire, Dianne Glover, at Sweet Soul Yoga! Spiritual Life Coach and best-selling author, Michelle Mullady, will be onsite to lead us in a powerful heart-opening meditation. Investment in yourself: $20 plus an additional $10 (please bring cash) for the meditation. Please sign up in advance at the Sweet Soul Yoga, via the mind/body app or at the studio to reserve your spot! Bizi Yogi airs exclusively on the KCOR Digital Radio Network. The show explores holistic techniques and lifestyle choices that create vibrant health and lasting happiness. Each week we will discuss the latest trends and hot topics that bring balance to the body, mind and spirit. Michelle Mullady is thrilled to be welcomed to Spiritual Living's program of guest bloggers for January 2016. "Never get away from the fact that you are surrounded by Creative Mind. It knows every thought and answers each of them as a prayer. The person who is ignorant of the secret magic of the law of attraction is bound by their thoughts, by their human beliefs. The magicians who understand this universal law will begin to break the ties that bind them; one by one they will destroy every negative thought until at last they have owned their power to choose what they want to think. Therefore, waving a magic wand of healing and manifestation which results in living the life of their dreams. Basically, magic is really all about focusing on positive energy to craft and bring to light the experiences that are desired in all areas of life." Read Michelle's full piece here. If you like what you read, please comment and share this post with your friends. Michelle Mullady is fired up about being a part of this complimentary two week event featuring 16 inspiring co-speakers, women who have walked through fire, faced their fears, and showed up as their radiant beautiful selves to discuss walking in beauty with you. 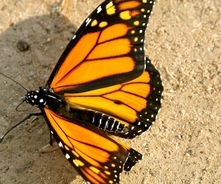 Receive access to valuable transformational gifts when you register. You’ll receive immediate access to 5 Gifts from our Sacred Sponsors and then eight gifts each week throughout the two week series from all 16 featured speakers – including ME. With a collective of feminine wisdom like this you’re sure to be inspired, empowered and transformed! You’ll be circling up with some extraordinary women in the fields of personal & spiritual development, positive psychology, self-empowerment, Divine Feminine, energy, finance, and success and more. Register now and add valuable gifts to your personal development library so you can begin to walk in beauty with the strength, courage and pleasure of claiming your feminine sovereignty. Michelle Mullady's latest book collaboration Whispers of the Heart is already an AMAZON BEST SELLER! Whispers of the Heart features today's most inspirational teachers, healers and spiritual leaders sharing their stories of following the voice of their wise inner being and the impact it made in their lives. This book is now available on Amazon, Barnes & Noble, and other select Brick and Mortar stores. In Michelle Mullady's chapter, Listen to Your Intuition, Your Inner Voice, she shares five tools that will help you to awaken your intuitive silent super power. Begin your journey of awakening today. Buy your copies of Whispers of the Heart now! ﻿﻿Michelle Mullady is a featured expert in a conference series that you don't want to miss.﻿﻿ IT'S FREE! Tune in and enjoy from the comfort of your very home! This incredible recorded event was created with the intention to uplift, support, and assist you on your spiritual path to enlightenment, self-love, inner peace and radiant happiness. You will receive 10 FREE LIFE CHANGING PRESENTATIONS packed full of wisdom, inspiration and self-help tools. Be inspired by these professional teachers, healers and spiritual leaders as they each share a 15 - 30 minute presentation filled with incredible tools to LIVE YOUR BEST LIFE! Sign up today and listen at your convenience! It's FREE! Please feel free to join Michelle for this FREE event.You made it halfway through the week! You deserve a break. Spend a few minutes indulging in a rest for your hurried mind. Anyone is welcome and no experience or knowledge is required. The July 2015 issue of Wild Sister Magazine is all about affirming "I AM ENOUGH". Michelle Mullady's article explores how the healing power of loving yourself begins by taking a searching and fearless inventory of how you see and feel about yourself. It asks and answers these important questions, "Do you desire to have the experience of someone loving you unconditionally? Do you spend much of your time waiting to be loved, hoping love will find you, seeking or even longing for that “one” special love?" To view the magazine's latest issue, click here. An inspirational article, "How To Be An Earth Angel", by Michelle Mullady leads the way in the June 2015 issue of Wild Sister Magazine. This issue of Wild Sister Magazine is all about "Love over Fear". Michelle's article states, "Now is the time for you to discover the importance of being an earth angel; through helping, guiding and following the intuitive knowing that you hear as whispers in your heart center". You will learn how you can be an angel in your little corner of today's world. The article can be found on pages 4-7. Wild Sister is a lifestyle and positivity publication for women who crave inspiration, sisterhood and freedom to be themselves. In this issue, Michelle's article offers 5 simple steps to tune in to your intuition, including grounding, relaxation, journaling and more. The effervescent and lovely Michelle Mullady joins Transformation Goddess this month with a gorgeous guest post, Living The Dream. "Every woman I know thrills at the thought of having her dreams come true. Divine fulfillment has a multitude of meanings to diverse women at varying ages and stages of life. To one it may mean experiencing physical health: the ability to dance, run, play, and stretch. To another it may denote abundance: a beautiful home, vacations, lounging in the lap of luxury. To yet another, living the dream may mean creating her own successful business, finding contentment in harmonious friendships, or forging a union with a beloved romantic partner. Then, there are those of us who desire it all." You can enjoy the entire guest post here. If you like what you read, please share it with your friends. Michelle Mullady's article "Love Yourself, Beautiful Soul" was highlighted as a guest blog on intuitive empowerment mentor, Tracy Crossley's website. "What does it mean to love yourself? To do kind comforting things for and to yourself? Is it making time to get a massage, having lunch with a dear friend, or buying yourself a new dress? Yes, sometimes. But true self-love is much more profound than that. Cultivating self-love and compassion for yourself means loving and embracing all that you are today ─ your thoughts, feelings, beauty, your age, mistakes, flaws, and imperfections, your power, sense of humor, intelligence, as well as your unique and different way of viewing the world around you. Deeply loving yourself means ..."
Click here to read the full guest blog. Michelle Mullady co-author's a dynamic new release. AWAKEN is available now. AWAKEN is now available on Amazon, Barnes & Noble, and other select Brick and Mortar stores. Today's most inspirational teachers, healers and spiritual leaders share true, motivating stories of how they discovered the way to real peace. In Michelle Mullady's chapter, Life Is About Who You Love, So Love Yourself, she shares 11 'Love Yourself' tools that have worked for her and countless others whom she has guided over her many years of private practice. Readers are encouraged to create their own unique way to incorporate these tools into their own lives. Purchase your copies of AWAKEN here. The latest book collaboration by Michelle Mullady is already an AMAZON BEST SELLER! 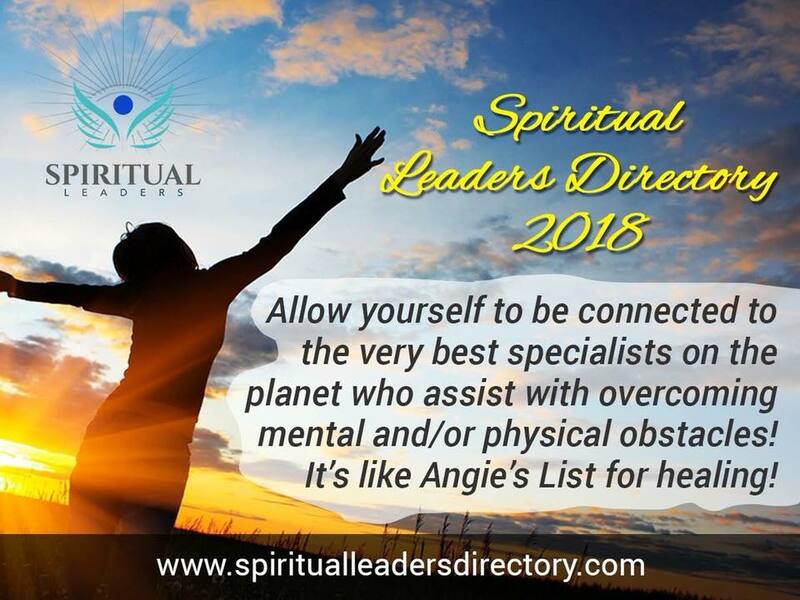 Michelle Mullady, Joyful Living Mentor, International Best-Selling Author, Master Energy Intuitive, Spiritual Guide & Transformational Healing Workshop Leader, was one of eleven coaches who were selected to be represented as the Best Online Life Coaches. All the honored professionals were considered to be the TOP Coaches in their field of expertise and have been juried with the United Life Coach Institute© Required Guidelines set forth by the ULCI© Executive Board. Utmost care is taken in the selection process of Best Online Life Coaches©. Each Coach has excelled in his or her practice and is held to the highest standards of knowledge, experience, integrity and character. Only those coaches who meet an extremely high standard are accepted on the Best Online Life Coaches© Network. Michelle Mullady has been selected as December's Divine Feminine Spotlight with Shann VanderLeek of Transformation Goddess. ﻿The intention of The Divine Feminine Spotlight series is to share transformational stories of women who have learned to walk in beauty, with the strength, courage, and pleasure of claiming their feminine sovereignty. You can listen to Michelle's Divine Feminine Spotlight interview at the Transformation Goddess website or download it from iTunes. Listen or download the interview here. The November 2014 issue of Wild Sister Magazine is all about relaxation. Michelle Mullady's article, "Discovering Yourself in the Tranquility of Nature" describes how nature teaches us to honor stillness, adopt acceptance and welcome renewal. It also offers a healing visualization exercise. The article can be found on pages 33-34. 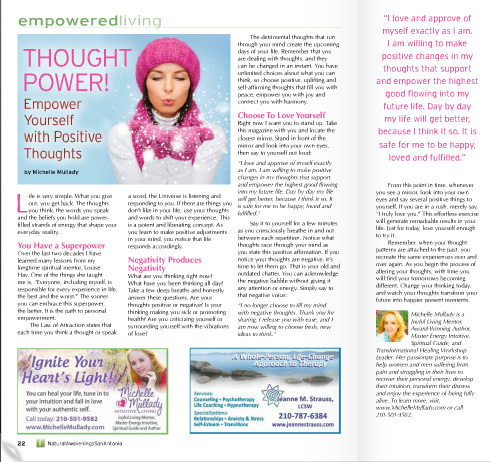 The November 2014 issue of Natural Awakenings Magazine includes a motivating article by Michelle Mullady, "Thought Power: Empower Yourself with Positive Thoughts". The article encourages readers to listen to their thoughts and make a shift to more positive thinking. The article also includes an easy exercise to help us choose positive, uplifting and self-affirming thoughts daily to empower our highest good. Enjoy Natural Awakenings most recent publication by clicking here. October 18, 2014 was a beauti-full evening of sharing ideas and techniques to increase and strengthen self-love, using Michelle's award-winning book The Joy of Loving Yourself: 101 Ways to a Happier You. Love and warmth was generated amongst the participants including the host Soul Shine Community House. Special thanks to Mana House for the gorgeous space. Purchase your copy of the Michelle's book here. Aspire Magazine just released its September “Top 10 Inspiring Books” list which includes Michelle Mullady's book, ﻿The Joy of Loving Yourself: 101 Ways to a Happier You﻿. Each book is dedicated to inspiring, empowering and supporting women along their journey. 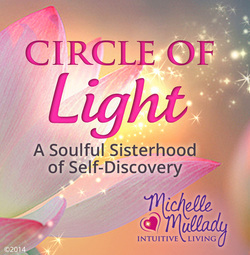 Michelle is honored to be included in this circle of feminine wisdom along with the other authors. Click here to see the Top 10 List, and join Michelle in spreading a message of love, wisdom and inspiration by hitting the "Share" button on the Aspire Magazine website. In this special issue about Yoga & Conscious Caregiving, Michelle Mullady's inspirational article, "Self Presence", is highlighted in the Abundant Living section. The article is about learning to be entirely present for yourself in ways that are innovative and pleasurable. Michelle leads readers through 6 easy ways to make self-care and self-love a doable daily practice that is essential for outward-focused giving. Check out Natural Awakenings Magazine hottest new edition. Michelle Mullady's article, "5 Steps to Awakening Your Intuition", is featured on the cover of the August 2014 issue of Wild Sister eMagazine. On Saturday, June 21st 2014 Michelle Mullady performed a charming and delightful marriage ceremony at Garden Heights Wedding Chapel. Nestled in the community of Garden Ridge, Texas — a short 20 minutes north of downtown San Antonio — you will find a rustic native white-washed Country Chapel, built in the early 1900s. The Wedding Chapel is known for its country charm, sophisticated ambience and especially for its exceptional value. A wedding day is often considered as one of the happiest moments in someone’s life. It is important for the people involved as it signifies the start of a new journey together. Wedding ceremonies allow the expression of the commitment that is formed between two people as their paths come together as one through the individuals’ announcement of the union of their love partnership to the community. At the same time, wedding ceremonies allow their community of beloved friends and family members to express their love and support for this divine union. "Michelle, Thank you for being perfect, awake, open and beautiful. Thank you for being present, holy, and breathtaking. Thank you for being yourself. May God's abundant blessings be showered upon you." Click here for more information about Garden Heights Chapel. Michelle Mullady’s article, "Sacred Soul siSTARS", has been published in the May 2014 issue of Wild Sister e-magazine. In each edition, you’ll meet inspiring women and read their stories, receive expert advice for living a more positive life, as well as learn yoga and discover healthy living tips. To download the newest issue of Wild Sister Magazine, click here. An eye-opening piece titled "Heal From Within, and Shift Your World" by Michelle Mullady is featured in the Special Edition Women's Wellness issue of Natural Awakenings magazine. The article is about trusting the process of healing and self-love, learning to cast aside old beliefs to make space for positive feelings and experiences. You can read the most recent issue of Natural Awakenings Magazine by clicking this link. Recovering in Unity is a program offered at Unity Church of San Antonio based on the 12 Steps. The program celebrated its one-year anniversary on May 6, 2014 with Michelle Mullady as their guest speaker. Recovering in Unity is open to all who struggle with a compulsion, regardless of what the compulsion is for each individual. Shortly after the program was developed a year ago, Unity Church’s bookstore began to carry a wider variety of literature about recovery, and now has a Recovery Corner that features these books. Another Unity specific recovery resource is UnityFM’s online radio show “Spirit of Recovery”, found here. Unity Church of San Antonio offers a meditation service on the second Wednesday of each month in their sanctuary. 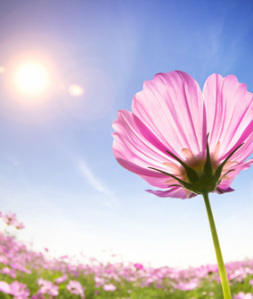 This month’s meditation was facilitated by Michelle Mullady on April 9th, 2014 from 7 - 8pm. In Unity, the purpose of meditation is to experience oneness with Source and each other. Meditation is a way of exploring and expressing one’s Divine Identity. All are invited to practice the presence of God in a guided meditation followed by silent meditation. — Belinda Cox, celebration host at Unity Church of San Antonio. Unity Church of San Antonio is located at 1723 W Lawndale Dr. San Antonio, TX 78209. The Midweek Meditation is free, with an opportunity to give a love offering (donation) to Unity Church of San Antonio. During this one-hour spotlight Jill and Michelle, along with other guests, discuss a wide variety of topics that are related to spirituality and wellness. Some topics include self-love, emotional healing, positive thinking, the law of attraction, the benefits of recovery, facing our dark side, a Higher Power, and other spiritually based ideas. Our view is that regardless of your faith, God is "all that is". We believe that we are all connected, and anything and everything you do is spiritual. We are spiritual, eternal beings having a brief physical experience. We all have challenges that we face along our path. "A Look on the LIGHT Side" radio is about recognizing that problems are made to be solved, and the best thing each individual can do is take responsibility for our own pain and self-care. This radio show is a reminder that each day is an opportunity for growth and renewal. As humans we are here to learn to enjoy this journey called life. This show aired live every 2nd Friday of the month, 9:00am-10:00am Central in 2013. Join us for a Sacred Celebration in honor of The Unsung Goddess' 2 year anniversary. The Unsung Goddess radio show is a platform to celebrate those who are showing up in the world in the most authentic and powerfully divine ways. In this podcast, Michelle Mullady joins host Heidi Woolard and a powerful group of 13 special guests. Each participant offers a devotion, prayer or intentions that are placed into a virtual love vortex and released as an offering of divine radiant love to the world and beyond. At 21:00 in the podcast, Michelle Mullady guides you to “Discover the Freedom of Forgiveness”. Come share in the celebration. Click here to listen to the free podcast. I have some exciting news to share with you! The doors just opened to an expansive, heart-centered, soul-inspired gift giveaway! 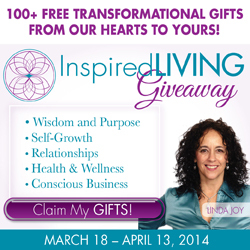 Over 100 visionary women, including me, have come together with Aspire Magazine Publisher, Linda Joy, to offer free transformational gifts to you. By signing up, you will receive thousands of dollars worth of complimentary resources from some of today’s leading experts and new thought leaders, as well as up-and-coming movers and shakers in the fields of personal development, self-growth, spirituality, relationships and more. I invite you to open your heart to receive the abundance of loving support offered in the Inspired Living Giveaway. Click here to claim your transformational gifts today. Shamanic healer, writer, poet, and performance artist Buffalo Thunder will be joining Michelle to co-facilitate her Circle of Light on March 22, 2014 at 7pm. Buffalo Thunder (Frank Del Toro Jr.) was born in San Antonio and raised for the first 8 yrs. of his life by his mother, sister and grandmother. As a result he brings a different point of view than many men. He works to restore balance of the masculine and feminine energies both internally and in the world around us. Buffalo Thunder is a 5th generation Energy worker with lineage on both sides of his family. He has studied with the Foundation for Shamanic Studies and was adopted into the Four Winds Apache Band over 15 years ago. He is also a member of the Circle Of Life Tribe. He follows Lakota traditions along with Hopi, Quechewan, Eastern Indian Hindi, Ayuveda and Celtic, among others. His body of work embraces Sacred Wisdom from around the world that is timeless, and he applies the wisdom to current day issues that we all face. Buffalo is a semi-retired massage therapist, Reiki practitioner, and hosts Sacred Drum Circles. Buffalo hosts meditations for both the Celebration Circle Community and Unity Church of San Antonio. He is a professional speaker and a professional musician. You can find him most Sundays playing percussion, first nation flute and singing at Unity Church Of San Antonio. Michelle Mullady is one of 30 leading global fempreneurs who are sharing their stories to help women remove fear and create empowerment in their lives and businesses. Do you look at your mentor through rose-colored glasses? Does it seem like certain people have it all figured out? The truth is, everyone has a journey, and the speakers at this global event will tell you how they rediscovered who they really are, and how it can happen for you too. By hearing their stories you will know that you are not alone, and you are meant to have magic in your life. You can bounce back from anything. There's no problem too big or small that doesn't deserve being heard and totally turned around. It starts with rediscovering who you really are. You can choose to be. Move from a place of fear, of anxiety, of dread and into a place of radiance, transformation and empowerment. Karen Hager's “Out of the Fog” is an hour of spiritual conversation and enlightening guests designed to help spark your spirit and ignite your soul! 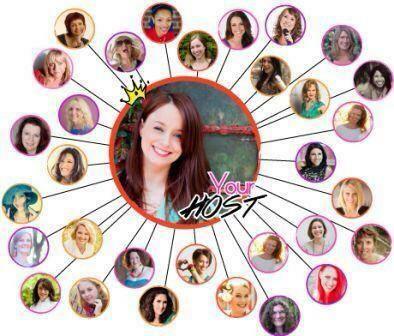 Karen’s guests include authors, spiritual teachers, lightworkers, intuitives, and more. Her goal? To create a positive, generous space where you can discover something new, be inspired to take action, and step forward with confidence. Whether she’s interviewing someone well-known or unknown, Karen’s lively curiosity keeps the conversation flowing. You can join the conversation by calling in at 248-809-3475. Life Concierge, Heidi Woolard featured Goddess of the Week, Michelle Mullady, Joyful Living Mentor, Master Energy Intuitive, Spiritual Guide, Author, and Transformational Healing Workshop Leader. Michelle is here to help you heal from the past so that you can live vibrantly in the present moment. She is here to teach you how to reconnect with and use your intuitive sixth sense as a guiding force in your personal world. It is her passion to help you discover and fall in love with your brilliant and authentic inner self. Through a co-creation mentoring process with her clients Michelle guides each unique individual to enhance every area of their life — relationships, health, finances, intimacy, Soul Purpose, and spiritual growth — while living one day at a time in a busy world. Michelle's knowledge is based on her own real life story and experiences of spiritual awakening and deep healing over the past twenty years. She is able to help you because she has done the “work” herself, and continues to do so every day. Click here to listen to free on-demand episodes of The Unsung Goddess. Michelle Mullady, Joyful Living Mentor, Award-Winning Author, Master Energy Intuitive, Spiritual Guide & Transformational Healing Workshop Leader, is one of 44 female artists from around the globe to contribute an original work of art for the digital book entitled The Goddess Chronicles: An International Traveling Art Journal. The theme, DREAM BIG, was expressed by each individual artist. The intention of this traveling art journal is to inspire girls and women of all ages to awaken their dreams and place their focus on the truth that they can accomplish them. This love-infused feast for the eyes and heart reminds readers to be present for the beauty that lies within and around them in their everyday world. The Goddess Chronicles is a work of art that vibrates with the guidance to never give up on yourself. It supports each reader to believe in and manifest the unique soul magic that they have been chosen to share with the Whole. A percentage of the proceeds received from the sale of this inspirational book will be donated to support Girls Inc. of San Antonio.